The team at Fusion took part in this years annual Santa Dash and Reindeer Run. 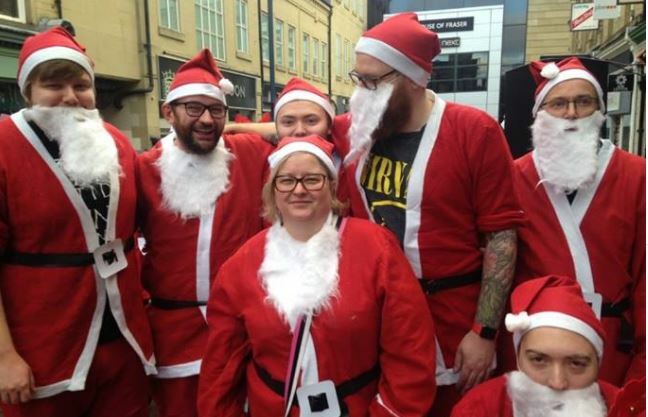 Hundreds of people took to the streets of Huddersfield dressed as Santa Clause himself, raising money for various charities. The team raised over £300 for two very special charities, the Laura Crane Youth Cancer Trust and Tommy’s. Well done to everyone who took part and we wish you all a very Merry Christmas and a Happy New Year. Watch our video to see our Santa’s in action.